Beautiful Fiji is one of the most popular destinations for Australian Cruise travellers. 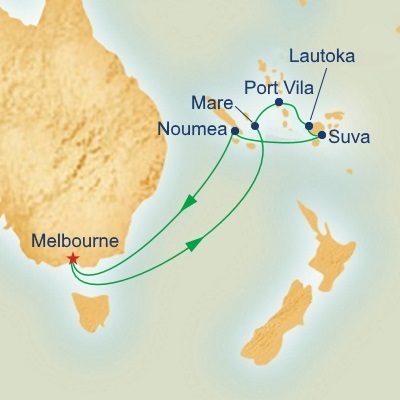 With such a large variety of cruises to Fiji from Sydney, Melbourne and Brisbane - a Fijian cruise is an obvious choice for your South Pacific holiday. The Island is also a popular choice for weddings and renewal of vowels. The country of Fiji is made up of a number of Islands, with Viti Levu and Vanua Levu making up about three quarters of the country. Other Fijian islands include Taveuni, Kadavu, the Mamanuca Group (just off Nadi) and the Yasawa Islands. 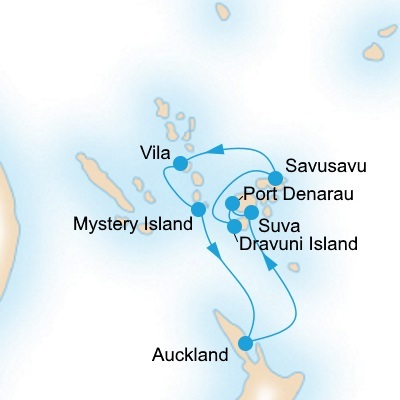 We have a large selection of Last Minute Cruises to Fiji and the South Pacific that include stopovers in various ports such as Vanuatu and New Caledonia. The Fijian climate is tropical all year round. The warmest season being from November to April. The coolest season is May to October with averages of 22 °C (72 °F). The warm season experiences the heaviest rainfall. Cyclones occur about once a year so you won't need to be too concerned about an interruption to your cruise. Fiji is between 2 and 3 hours ahead of AEST, depending on daylight savings time which occurs in Fiji between mid October and late January. The Fijian Dollar (FJD) is the official currency of Fiji. Fiji cruises disembark at Lautoka Wharf at Nadi Bay and Port Denarau on Denarau Island. 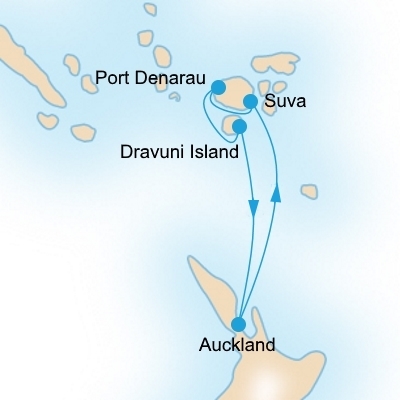 Cruises also stop in Suva on the other side of the Island. 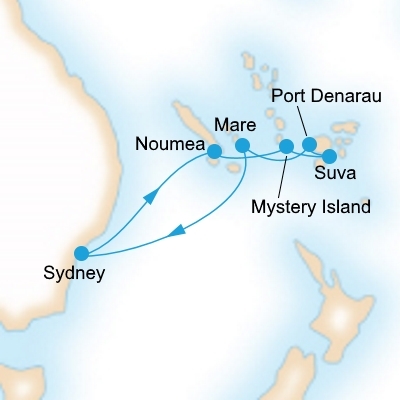 Carnival has a large number of Cruises to Fiji departing from Sydney via Suva and Port Denarau from 7 to 11 nights. While you're on the Island, there are a number of tours and sights to see. You may only have a short docking period however if you do some pre investigation before your trip the following may appeal. Take an Fiji Islands Day Cruise to see the surrounds, see a traditional Kava ceremony, and partake in some snorkelling or canoeing.